When I started learning Chinese, I understood early on that listening ability required more practice than my courses offered. A lot more. This is how I found ChinesePod. More than eight years have passed and I’ve used the service to varying degrees ever since, so this is the most overdue article on Hacking Chinese so far. Welcome to my ChinesePod review! The main problem for most people who learn Chinese is that they don’t listen nearly enough. Going to class and doing your homework will not prepare you for the onslaught of authentic, spoken Chinese. It will not even prepare you for basic dialogues using the words and grammar you have studied. If you live in a Chinese-speaking environment, you will get more listening of course, but most of it will not be suitable for your level. Without listening enough, you will not achieve fluency. I’m not talking about spoken fluency here, I’m talking about your ability to understand what someone says without needing to think too much. If you need to think for three seconds what a word means, the speaker is already in the next sentence. The only way to get around this problem is to listen as much as you possibly can. As far as possible, you should listen to things you can understand, although it might require effort and listening several times. Don’t waste your time listen to things you don’t understand at all, even after listening a few times. This creates a problem for students: How do you find enough listening material at your current level? 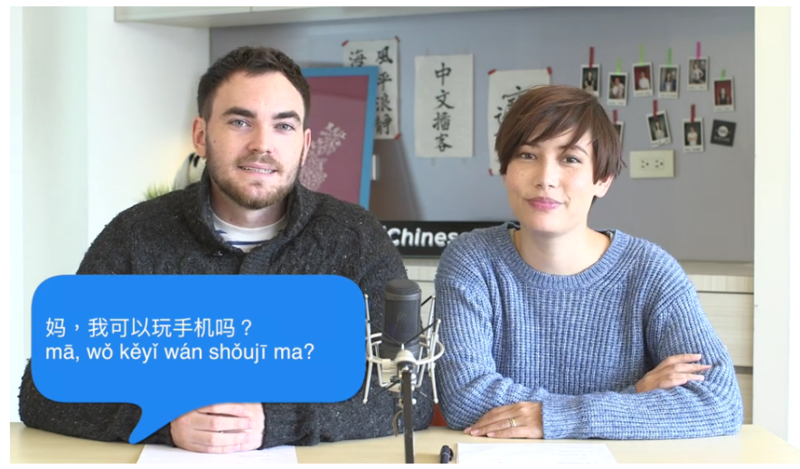 There are many services out there that offer Chinese listening practice, but none comes close to ChinesePod when it comes to the abundance of material on offer. There are roughly 3,700 lessons available! This is across six difficulty levels, starting from complete newbie and ending with authentic media material for advanced learners. 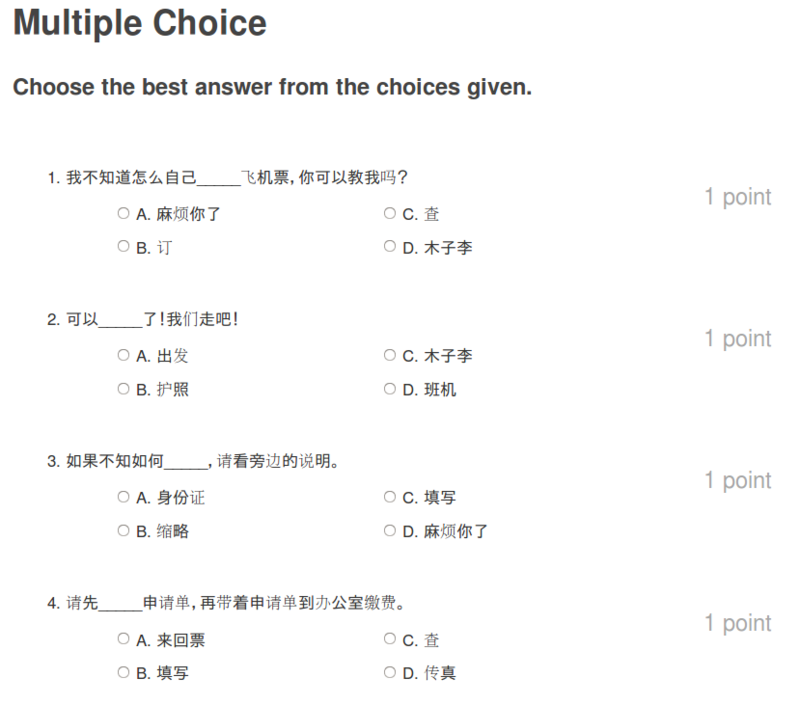 In this review, I will look in detail at the things ChinesePod can offer learners of Mandarin. Let’s start with the lessons, which are the core of the service. The lessons can be accessed in a number of ways, either through a mobile app or on the website. A lot of the content, such as the full audio lesson, the dialogue, vocabulary review and grammar explanations can also be downloaded for offline or later use at your convenience. Other features are only available while logged in, including all kinds of exercises. I will discuss these features later, but let’s look at the content first. The best way to do that is to start with an overview of the levels. 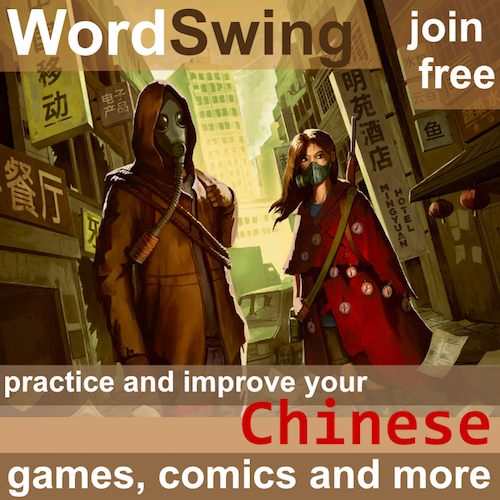 Newbie – mostly in English (404 lessons): The newbie lessons focuses on very basic survival Chinese, introducing words and short phrases that may come in handy. Elementary – still mostly in English (713 lessons): The elementary lessons become slightly more serious and focus on basic conversation, vocabulary and grammar building. Intermediate – even mix of Chinese and English (685 lessons): The intermediate lessons assume you already know the basics and expands from there with more vocabulary, grammar and so on. 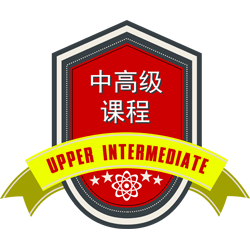 Upper intermediate, mostly in Chinese (494 lessons) – In the upper intermediate lessons, the amount of Chinese spoken increases a lot. The focus on introducing broader and more varied vocabulary remains. Advanced – in Chinese only (354 lessons): This is the first level for which lessons are entirely in Chinese. This makes a huge difference in terms of how much Chinese you hear. The vocabulary becomes more advanced too, of course. Media, in Chinese only (155 lessons) – As the name implies, this level focuses on authentic Chinese from various media sources. It’s otherwise similar to the other levels, but will of course contain even more formal language since many lessons deal with news. If you’re not sure which level is suitable for you, there is a placement test, but I don’t know if it’s accurate or not. I would just check a few lessons from each level and see if it seems suitable to you or not. Apart from this, there are also hundreds of lessons ordered into courses of different kinds, also sorted by the same levels. These work much the same as lessons, except that they are connected to each other more directly. Many are series of lessons focusing on a particular story or theme, which makes it more thematically consistent (kind of like a textbook compared to random text from a textbook). There are also other shows, such as one called 请问 which answers questions about specific aspects of Chinese, such as the difference between 能, 会 and 可以 or 使用， 利用 and just 用. 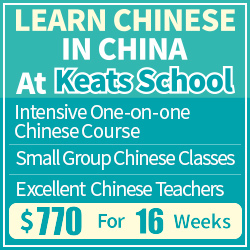 Other shows include lessons in Shanghainese, KTV and Pinyin. Avoid English as much as possible – While it’s impossible to fill your days with comprehensible input entirely in Chinese at a beginner level, you should try to avoid English as much as possible. At lower levels, go for the dialogue only. Listen to the whole lesson once, then just save or download the dialogue itself. It will be entirely in Chinese. It’s only a few minutes long, so you need lots of them. Advance as quickly as you can – Do not try to finish all the lessons on one level before moving on. Don’t even try to finish the recommended number of lessons. The reason is that the lower levels of newbie and elementary are little more than Chinese words and phrases explained in English. While that can be helpful, you do not want to fill your days with that! Don’t listen in chronological order – Even though the episodes within a level is produced in a certain order, you don’t have to listen in that order. If you prefer the style/people/content of the episodes from 2008, 2010 or 2016, by all means just listen to those. However, be aware that diversity is important for listening ability, so jumping around a bit in the library is a good idea. The talk between the hosts is useful on higher levels – From upper intermediate and above, listening to the hosts talking about the dialogue in Chinese is very useful. It’s also somewhat easier than the dialogues themselves, at least from advanced and upwards. This means that it can be beneficial to jump to these levels if you can mostly follow what they are talking about, even if you don’t understand the dialogues or think they contain too many new words. Make sure you can listen anywhere and any time – Improving listening ability is mostly a matter of practice. It takes time getting used to a new level and you need to hear Chinese constantly. Make sure you have material available even when you’re offline. I have a separate mp3 player with listening material on, so I can listen even if my phone runs out of batteries. I also find this less distracting since I have nothing else on the mp3 player. More about listening ability – I have written a lot about how to improve listening ability, partly because I think it’s interesting, but also because it really is the most important skill. If you want more advice, head over to the listening category, which contains an introduction and a summary of the most important articles. So, what do you get apart from the lessons? First, you get a dialogue transcript which is easy to go through and has a built-in pop-up dictionary. Then you also get a separate vocabulary list that has a nifty function where you can see that particular word as it appears in other sentences in other lessons. This is great! There are also a few selected expansions where you can learn more about words or patterns used in the lesson, as well as grammar explanations. Then, finally, there are also exercises. As you might imagine, these are fairly basic since it’s all automatic. There are matching exercises (e.g. characters to meaning), sentence ordering (based on the dialogue), dictation (to characters or Pinyin) and fill-in-the-gap (multiple choice). This is useful if you want to make sure that you actually understood the lesson, but since they are so basic, they don’t work for more than just that: checking that you’ve got it. You won’t learn to actually use things just by doing this. I haven’t used them much myself and find them a bit too simple, but to each his own. 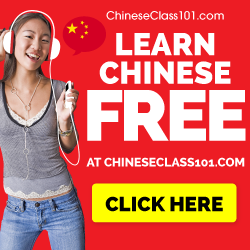 Glossary – This is a tool you can use to find in which context certain words appear in ChinesePod lessons. Doesn’t sound very useful until you realise that there are thousands of lessons and the word bank is quite extensive. If you want to find an example sentence for a word, you can probably find it here. Compared to real word banks, these sentences are all aimed towards learners on different levels! If that’s not enough for you, please refer to my article about dictionaries and sentence banks in Chinese. Pronunciation – Here you can learn about the basic sounds in Mandarin. including the tones. The explanations are systematic and mostly accurate, presented in a gradually increasing difficulty. There are also plenty of audio examples. ChinesePod also offers a Pinyin chart with audio, but it’s not directly accessible on their website, but through an app you can download for free (iOS or Android). 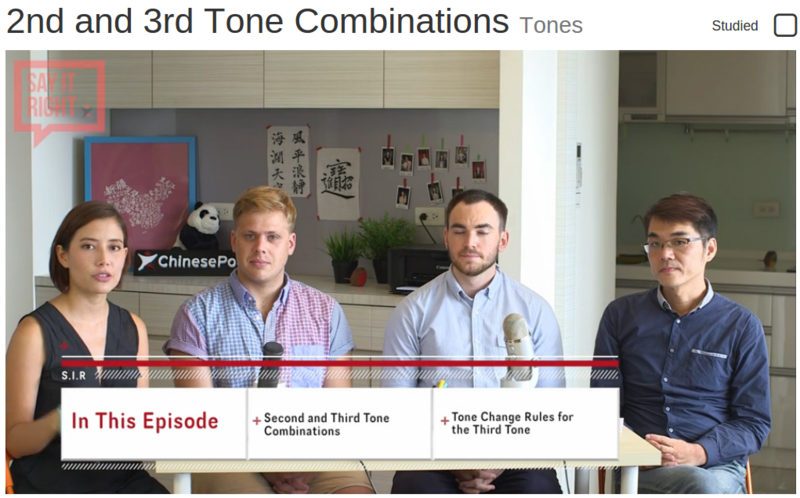 Apart from the lessons and other tools I have discussed here, there is also a new pronunciation series called “Say It Right”, which focuses on basic pronunciation (tones, Pinyin and so on). The pronunciation expert in the course is actually a classmate of mine who studied for a doctorate at 國立臺灣師範大學 when I studied for my master’s degree. We are both interested in phonetics, so we ended up taking several classes together. He knows what he’s talking about, although I’m not sure it all comes across fully in the videos of this course. I might return to this pronunciation course later. Furthermore, there is a virtual classroom I haven’t checked out at all, so I won’t talk about it in this ChinesePod review. This also feels detached from the rest of the service. Of course, you need to pay extra for this (see below) and I think most people could probably find teaching at a similar level elsewhere a lot cheaper. Since this is not unique or special in anyway to ChinesePod, I don’t think I need to include it in this review. As a listening resource – As discussed in the introduction, you need to listen more. ChinesePod is probably the best resource for doing this. Just go for the audio. Make sure you download as much as you can and have it easily available on your phone or mp3 player. When you listen, you don’t really need to actively study things. Just listen. A lot. If you do this for months or even years, your listening ability will increase rapidly. This is how I have used ChinesePod myself and I recommend it because it’s extremely good from a time quality perspective. Put briefly, this means that you can squeeze in hours of passive listening into almost any schedule, but you can’t do that with active studying, such as reading transcripts, doing exercises and so on. You can listen anywhere you are, whenever you want to and it’s not too demanding, especially if you re-listen to old material. As a way to expand vocabulary – What most of the lessons on ChinesePod boils down to is explaining vocabulary (and sometimes grammar). Naturally, a significant part of learning a language is learning the words, so this isn’t as bad as it sounds. If you don’t have a tutor or teacher, this is a good way of being introduced to new words, seeing how they’re used in context and also practising with them through the exercises for each lesson. While you can find words and explanations elsewhere, it’s not so easy to find this large an amount of learner-targeted explanations with exercises. This becomes more useful the more advanced you are, because then the discussions about the vocabulary is in Chinese too. Words and grammar explained in Chinese at a suitable level is very hard to find online, especially in so high quantities. Naturally, a resource like this isn’t free. However, as mentioned above, there are 100 free lessons you gain access to just by signing up. That sounds like as mall number, but only if you compare it with 3,700 lessons in total. A hundred lessons is still more than enough to figure out if you like the service or not. Basic ($10.33/month on annual plans) – This is the standard subscription that gives you access to the complete library of lessons (video and audio). including printable notes. If you plan on using ChinesePod mostly as a listening resource this option should be enough since you do have access to all lessons. You do miss some things, though, but they may or may not be important for you. Also, make sure you read my general buying advice below. Premium ($20.75/month on annual plans) – Apart from the above, you get a few more things already discussed in this article, such as vocabulary and grammar expansions and full access to the app. However, the reason you might want to go with this plan at least for a short time is that you can also download only the dialogues! Remember, this is important especially on the lower levels. You can of course edit the audio yourself for free, but that’s extremely tedious. Premium+ ($99-299/month) – This option is the same as the premium option, but also includes personal 1-on-1 tutoring. I don’t really see why you would want or need that in your subscription, but if you have the money to spend and want to try it out, go ahead (and do let me know what you think about it). I have not tried this option myself and therefore I won’t recommend it. I include it here for the sake of completeness. That’s really expensive! What should I do? First, if you do go for the annual subscription, apply the code “OLLEPOD” in the purchasing process and you get $50 off. 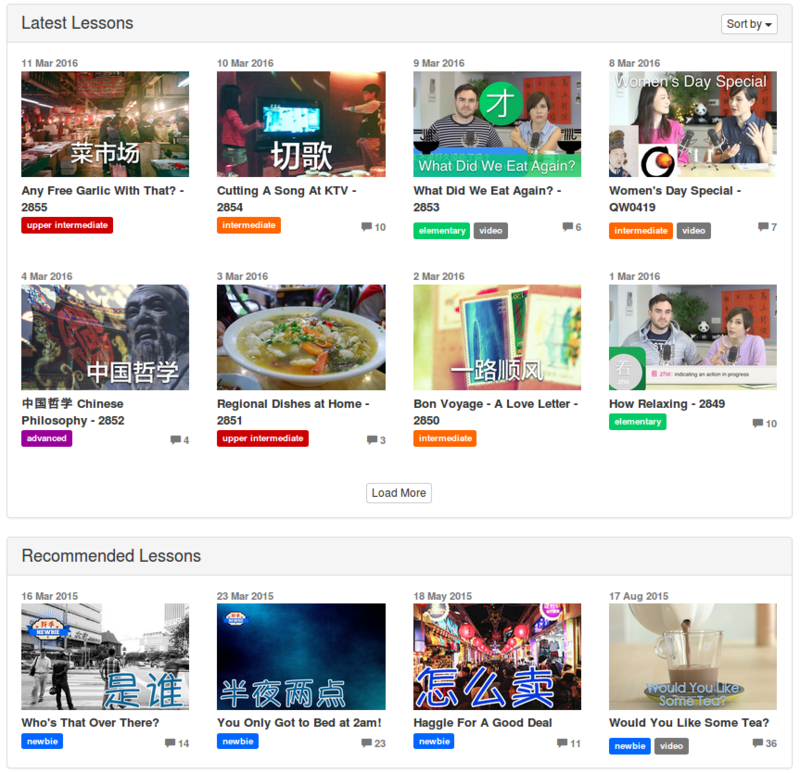 Second, and perhaps more importantly, ChinesePod is presented as a subscription service and some things really are provided continuously (five new lessons per week, for instance), but most of the value comes from the huge library of resources on offer! This means that you don’t really need to stay subscribed, even though that is of course the most convenient way of accessing the material. Instead, sign up for a premium account for just a short period of time, download as much material as you need, including full audio lessons, dialogue-only audio and transcripts. When you have used up that material or want to try something new, you can subscribe again and get a new batch. While this will still cost you money, it’s a lot cheaper to sign up for a month once a semester than paying for full year subscriptions. Isn’t this cheating? I don’t think so. You’re downloading content that is accessible at that time. If you want a continuous service including all the new lessons, exercises, app and online features, then of course you need to pay. If you think you can do without them, then there’s no reason to. Apart from the price, there aren’t that many problems with ChinesePod. I have seen some strange behaviour with exercises, such as the point calculation being completely off, but these things are all very minor. The user interface is great and usually works without hitches. Some lessons aren’t as interesting as others, but most of the recent content is good. The only major complaint I have about the lessons is that they use way too much English early on and seem to do little else than explaining Chinese words in English. While I realise that many learners might actually want this (it’s much less demanding to listen to), I think it would be far more useful with more Chinese being spoken. As I said above though, you can get around this by just using the dialogues and ignoring the lessons. 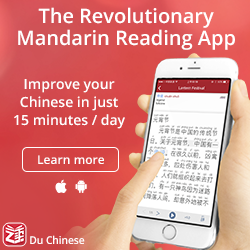 As I have written in this ChinesePod review already, I think that this is mainly a listening resource that can also be used to actively build your passive vocabulary. It’s not a complete program for learning Chinese and don’t think for a second that you will master the language just by using these lessons. This review is written with that in mind. Regarded as a listening companion, it’s awesome; but as a complete solution for learning a language? Of course not. One thing I’ve heard other people complain about is that the company is now produced in Taiwan, but I this is mostly a good thing. It means that among the huge number of lessons, there’s lots of variation. Nothing says you have to listen to the lessons in a particular order! Jump around in the archive and have a look at episodes from different periods. Thus, this only becomes a problem if you’ve finished all of the material in a specific category. Even divided into several parts, there are still more lessons on offer in each category compared to most other services, though, so I personally don’t think this is a problem. Also, diversity is good in and of itself when it comes to listening ability. Overall, ChinesePod is one of the most valuable resources out there. The huge number of lessons targeted at various levels is unique and well worth checking out. While not perfect (too much English, for instance), there are few other listening resources that beats ChinesePod. I have used it to improve my own Chinese since 2007 and I still occasionally listen to it to expand vocabulary about specific topics. If you haven’t already, check it out now! Interesting thoughts. I thought Chinese pod struggled after they moved to Taiwan. One of the reasons I terminated my contract was finding the lessons became very soppy. Fiona is clearly a very talented women however it was always going to be difficult following on from Jenny Zhu and the team. Might revisit in the future as pop up Chinese has slowed downed on content. Some parts of this review feel like promotion, rather than critical thought. All being said It is worth getting on Chinese pod to listen to the older more diverse content if nothing else. Great bedtime listening. I don’t have insight into any data about how well they are doing now compared to earlier, but I’ve listened to a fair amount of episodes throughout the years and I don’t believe the old lessons where magical or anything. Neither are the new. Naturally, I mostly use the more advanced lessons myself and I think those are actually better now compared to earlier. I haven’t listened to enough lower-level material to give an accurate analysis. What do you think? In my opinion, they are good at what they do, but the problem is that what they do is rather limited (i.e. mostly explain words, which I talk about in the review). This has been true from the beginning, though. The reason the review is overall very positive is that I think there are few disadvantages to the service, except the price and the amount of English on lower levels. Regarding the move to production in Taiwan, I don’t really see why that’s a problem. As I’ve written in the review (I have now put it in a more prominent place, thanks), I think it’s a mistake to approach ChinesePod in a chronological order. In other words, the thousands of lessons produced before the move should satisfy anyone who wants that, while the new material is great for people who either want variety or don’t mind that the episodes are produced in Taiwan. I listen to ChinesePod during my half-hour walk to and from work each day, and I’ve been satisfied with it. It’s certainly more interesting than listening to the news! I recently finished a big chunk of lessons I downloaded a few years ago, so I signed up again for a month to download everything they’ve made since then. Since when are they based out of Taiwan? I recommend an Android app called Audipo for those who want to focus on the dialogs. It allows you to listen to a section of an audio file over and over again, as well as slow down the playback speed if you’re having trouble following along. It should be added that there is Skritter integration in that the vocabulary lists are already in Skritter in their own separate section and can be added to one’s queue. The Chinesepod site is saying your OLLEPOD code isn’t valid, any ideas? I think it’s only valid for annual subscriptions, perhaps that’s it? I have sent them an e-mail to make sure it’s right anyway. Sorry about that! Brilliant, it’s working now! Thanks for emailing them, much appreciated. I used Chinese pod years ago and whilst I could see the language and content being useful I really disliked the lack of structure and in particular almost avoidance of grammar. It seemed hard to build a solid foundation. I revisited it this week and renewed my subscription (thanks to Ollies post!) and I am please to see it being much more useful. A good way to view Chinese pod is: if ever become frustrated as to why even though you have studied formally for years and when you go out on the street you are still baffled by what people are saying; Chinese pod can address this. In my view this is the real worth of Chinese pod : the dialogue and colloquial use of language is very good and from this aspect alone, it’s far far superior to what’s being taught in many language schools in Beijing. You know Chinese Pod is almost exclusively spoken and daily “casual talk” (I don’t mean slang). Even at the upper intermediate level the sentences are relatively short and different in nature to a text book like New Practical Chinese Reader This can be a problem in language schools where teachers often forget to highlight whether a word is more orientated towards written or spoken Chinese or if Chinese people actually people talk like the dialogues in formal text books. These are the most redeeming features of Chinese pod and seems hard to find elsewhere. In a nut shell: must be used in conjunction with other resources and note the excellent use of relevant Chinese for daily life. Yes, this more or less reflects my own opinion. ChinesePod isn’t a complete solution, it’s a (very large) collection of useful resources for listening and vocabulary. Unless you’re very experienced with learning languages in general, you definitely need structure beyond something like this. ChinesePod offers thousands of stand-alone episodes and that’s not what you need most as a new learner, you need more structure, something that ChinesePod doesn’t offer in the same way or extend as a normal course does (or even a textbook). For me, it’s mostly a listening and vocabulary resource and I think that ascribing the service too much importance beyond this is slightly dangerous in that you will miss too much. So if ChinesePod is mainly best used to supplement learning, what other resources should a beginner pair with it? Love your site, and thanks for the input! Yes, that sums it up pretty well, I think. I would pair it with a normal textbook, some lesson/course and large amounts of real communication practice. Thanks for the article as well as for all the work behind The H.Ch. ! I have a question regarding the listening skills. Being still more or less elementary student, I struggle with the listening a lot (who doesn’t right? :)). You recommend to focus on listening to materials on your current level when “listen before read-study”. Well for me, when I go through Chinesepod lessons, I don’t have problem (more or less) with intermedium lessons, but when I just listen (without looking at the context and content first) I almost never get it at all even on the elementary level. Those are short (under 50 sec.) and if there is some unknow grammar or few new words I don’t get it even when listening twenty times ( fortunately sometimes yes). It is quite 困扰.. Recently I found out that it is even more comfy for me to listen to RTi radio, I can catch word here and there, sentence here and there and especially talks a longer so one can get some context…but it is obviously high over my level. I am happy to have a job where I can listen for couple of hours a day but I still would like to spend that time as well as possible for my personal hacking chinese. Any suggestions are appreciated! I’m not saying you should only listen, but if you always read context before you start listening, you’re not really practising listening as much as you can. I found it useful to listen to the same passage many, many times until I was fairly sure exactly what I didn’t understand because of lack of vocabulary. Once I had exhausted an audio clip in that way, I would go through it with transcripts and actually stud the remaining parts. I wrote more about that here. Hope this helps! this is very similar to my initial experience of Chinese Pod. I covered all the Pimsleur Mandarin CD’s (3 times) yet even after this even the elementary CP lessons I couldn’t understand. It was really disheartening to say the least and actually I quit Chinese for a time. Now after 1.5 years of full time lessons in China the intermediate lessons whilst not too difficult can still seem somewhat odd. I can understand them but I would never form a sentence in such a manner. It is purely because the word order and formation of the sentence seems very alien to me. However my gf hears me playing these recordings and does say, “yes this is exactly how we speak!”. Unfortunately this is not the case with many text books. As a simple example, the term 干吗 first appears in the intermediate book! of Short Term Spoken Chinese series, and never once in New Practical Chinese Reader 1 to 4, yet CP use it very early on, and you will hear a LOT in China. Thanks for this review. It motivated me to fire up my ChinesePod subscription again. I’ve watched the “Say It Right” series, and your former classmate’s portion is very helpful. For example, his explanation of the umlaut u is the best I have seen. If you get a chance to see it, I would love to read your comments. Hi, us it possible to download just the dialogue for each level in one go, or do you have to do them individually? Thanks. Not sure, but try asking their support. There used to be a way to download all the audio, but I’m not sure if that’s still available. You can access the mp3-files fairly quickly, though, so it’s not difficult to get loads of them fairly quickly. 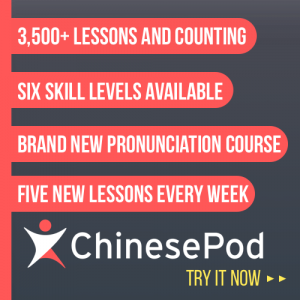 I have only listened couple of the free lessons but I plan to subscribe the chinesepod, however I cannot decide between the “basic” and “premium” options. I think I will be only listening the different podcasts, which is why the basic would be enough for me. However, I plan to use only my iPhone and the premium has “Full Android + iOS apps”. Do you know what this Full apps mean? Does it mean that you can do the exercise on the app, or what? If I just buy the basic one, can I download the podcast to my iphone and listen to them offline? You underrate the key novelty of the Say It Right series. Your former classmate presents sophisticated information which used to be available only in the advanced literature and does it in a way that even beginners can absorb. By the advanced literature I mean books like Yen-Hwei Lin’s Sounds of Chinese. That is a terrific book, but not designed for classroom teaching of pronunciation, and certainly not for beginners. Books like that naturally combine this information with lots of phonetic data, regional variations, and comparison of different linguist’s views on things nuances of the third tone. Say It Right spends a couple of hours teaching the practical aspects of standard Mandarin pronunciation, in as much detail as Lin, from the ground up. No one has done this before. Is there any well structured free resource available to use together with chinesepod? I have big interests on learning Mandarin but not much money to spend at the moment. It seems that ChinesePod no longer has annual subscription. I see that the premium plan is $29/month. Is chinesepod still worthy at the price tag? Comments by first-time posters are always held for moderation, that’s why your comment didn’t show up immediately! It’s difficulty to discuss if something is “worth it” because it depends on both your budget and how much you need the resource. Personally, I think $30/month is a bit pricey, there are other podcasts out there too. However, if you think $30 is not a big deal and you want the convenience of having access to all those episodes, then it could definitely be worth it! As someone who has been learning Chinese for a while and just discovered your website, thanks! One thing I’m curious about though- since it’s now produced in Taiwan, are the lessons spoken with a Taiwanese accent? Last I heard, there isn’t much being produced at all, but I’m not really up-to-date. The accent might vary depending on who’s host, but that’s true historically speaking as well. A vast majority of lessons were produced with some Mainland standard in mind, though.